2017 is in full swing, and there is a lot in store for ARC, including a full frame off restoration on a 1963 Cadillac, which is scheduled to be in the Airlift Performance booth at the 2017 SEMA Show. The owner, Brian Henderson, has been a car enthusiast most of his life and owned over thirty classics in the last ten years. Nothing seems to get in the way of his passion for cars, not even women. There is only one woman, who comes first, and that's his wife, Deanna. Brian found out quickly that Deanna shares the same passion as he does. 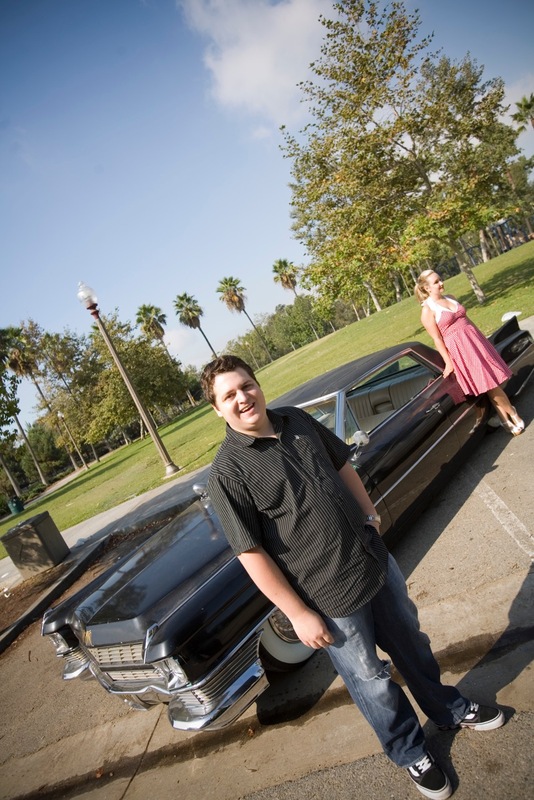 Brian randomly found a listing for a Cadillac for sale, and the two ended up buying it together 50/50 after only dating for one week. It was a match made in heaven! Deanna's dad thought she was crazy for buying a car with a guy she just met but was excited they'd be joining the family tradition of participating at local car shows. Deanna's parents have a '63 TBird, her brother has a '66 Nova and her sister has a '63 Nova convertible. Car shows have become a big event for their family over the years from the Seal Beach Car Show to Viva Las Vegas. Brian and Deanna have put a lot of love into the '63 and enjoyed driving it for many years. Since then, it's been sitting among the other cars in his collection, and they have decided that it is time to put some love back into it. The Hendersons came to Anaheim Rod and Custom just to discuss getting the '63 running again. Before the discussion was over, a complete overhaul was the car's destiny. The Cadillac had spent no time in the bone yard and was stripped down to the chassis before it made it through the bay door of the shop. We are on it! A new Chevy Performance LS3 with velocity stacks, 4L60e trans, new suspension upgrades, and all around six-piston Baer brakes and of course a top of the line Airlift self-leveling suspension will be installed in the car. Lots of subtle changes will be taking place in the interior, Currie Enterprises rear end, Borla Exhaust, Choppin Block chassis kit, and a deep House of Kolor Burple Kandy paint job with various colors of blending meta jewels will adorn the exterior. It's going to be cosmic! The best part is... you'll get to see it in person at the SEMA show this year! Keep checking back for updates and be sure to stop by the Air Lift Performance Suspension booth at the 2017 SEMA Show in Las Vegas, NV.